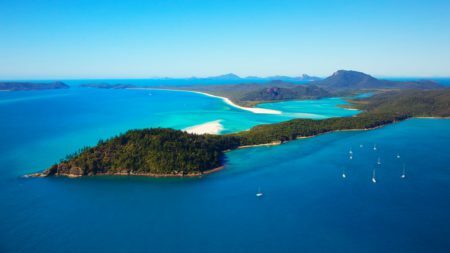 From the salt lakes and soaring peaks of the Red Center to the iconic architecture of Sydney; the technicolour marine life of the Great Barrier Reef to the weird and wonderful creatures of Kangaroo Island, these are just a handful of our expert’s favorite reasons for visiting Australia. 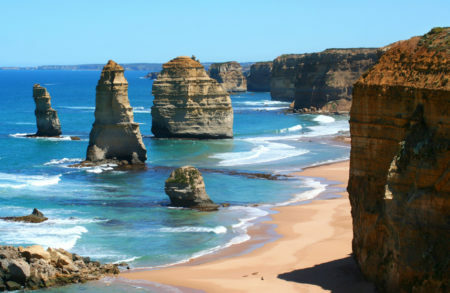 If you love getting behind the wheel on vacation, this incredible stretch of highway hugging the southeast coast from Melbourne to Adelaide promises you the road trip of a lifetime. Cruising between rugged cliffs and the open ocean, your tour could include hiking in the Grampians, penguin watching on Philip Island and visits to historic shipwrecks sites. 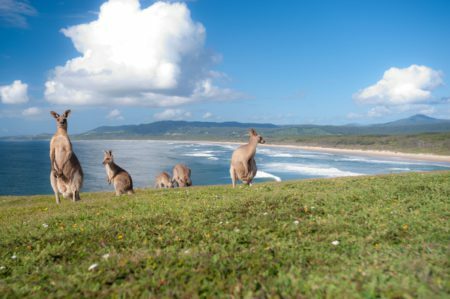 One of the best places in Australia to see native wildlife in their natural habitat, Kangaroo Island plays host to a menagerie of unique species including koalas, wallabies, emus, possums, penguins, cockatoos and of, course, the eponymous kangaroo. Just a short hop from Adelaide, it makes for a fantastic day trip. 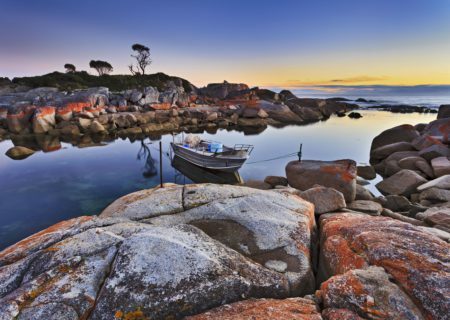 An untamed and isolated wilderness off the southern coast, Tasmania rewards its visitors with deserted beaches, primeval forests, mirror lakes, towering mountains and a diversity of wildlife that includes the elusive duck-billed platypus and fabled Tasmanian Devil. Make the most of this enchanting region on one of the spectacular multi-day walking trails. The Great Barrier Reef needs little introduction. Stretching along the northeast coast, it holds the title for the world’s largest coral reef and can even be seen from space. Over 2,000 species of fish and 400 types of coral, in a countless array of vivid colors, can be enjoyed by divers, snorkelers and passengers in glass bottomed boats. 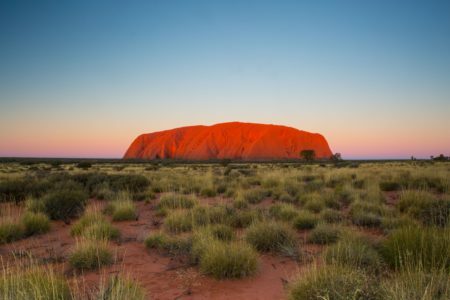 At the heart of Australia’s vast Red Center, this 500-square-mile protected area is home to both the distinctly dome-shaped rock formations of Kata Tjuta (the Olgas), and Uluru (Ayers Rock) – the mighty red monolith steeped in the legends of Aboriginal Dreamtime. Visit at sunrise or sunset to see them at their most dramatic. 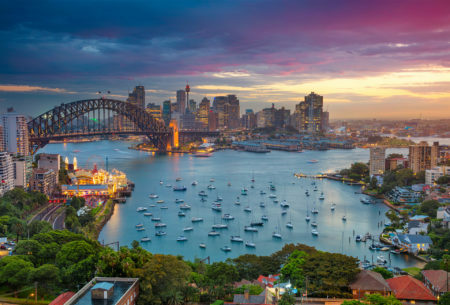 Arguably Australia’s most glamorous city with its iconic harbour and opera house, fabulous eateries, beautifully golden beaches and cosmopolitan flair. Don’t miss out on a climb up Sydney Harbour Bridge where you’ll find unbeatable city views. Defined by wild, horizon-wide landscapes, the Top End of Australia’s Northern Territory is home to a staggering collection of ancient, Aboriginal rock art. 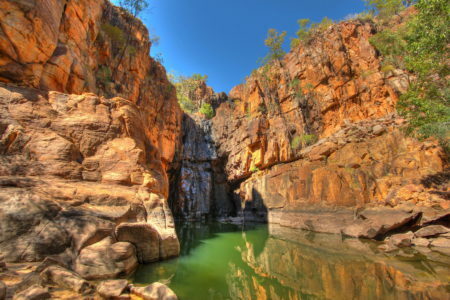 Many examples are found in Kakadu National Park, the Kimberly and Arnhem Land where, alongside an indigenous guide, you can get a truly fascinating insight into the indigenous culture depicted on the rocks of hidden caves.